Accounts payable (AP) has come a long way over the decades, evolving along with changing technology. Instead of writing longhand in a ledger with a calculator, professionals now have access to top tech tools that make everything easier. These accounts payable automation tools not only improve productivity and save money, but they can also reduce costly errors. But with so many solutions on the market, it can be difficult to determine which solution is the best for your own unique business needs. 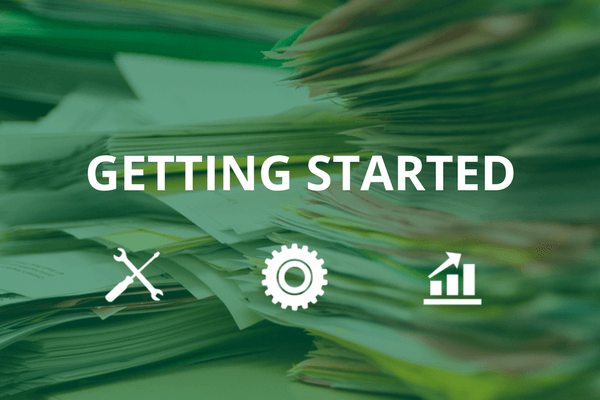 Here are a few tips to help you as you begin to evaluate solutions and prepare to automate. Here are a few tips to help you as you begin to evaluate solutions and prepare to automate. Before you start, it’s important to take a moment to document your objectives. List the challenges of your current processes or systems creates how automation can help resolve or alleviate those problems. If you’re using spreadsheets to manage your accounts, you’ll likely find you spend hours trying to track down the right paper-based file to go with a ledger entry. Automation resolves that issue by creating a searchable database of information and documents. Another challenge businesses face is with their approval processes, which can slow things down and even lead to delays throughout the process. Once you’ve identified these challenges, you’ll know the features that are most important to you when choosing software. Paper-based processes are not only inefficient, but they also consume resources. Automation allows businesses to reduce paper, which frees up office space in addition to being more environmentally friendly. AP automation means you can scan invoices, receipts, and other documents into your system, attaching them to the appropriate account in the searchable database. When those documents need to be reviewed in conjunction with that account, they’ll be easy to find. Without automation, an invoice often is physically shuffled from one desk to the next within an organization for approval. This inevitably leads to slowdowns as professionals get busy or take vacation time, causing late payments, missing early pay discounts and delays in services. Even email-based approvals can be slow and error prone. Software automates those workflows, pushing something to the next person in the approval line once someone has signed off on it. With alerts and notifications, items are far less likely to stall along the way. Audit trails are maintained to enable compliance with internal controls and regulations. The goal of any business’s accounting function is to maintain a healthy cash flow. Automation comes with built-in reporting tools that make it easier to identify areas of potential improvement. This information makes it easier for businesses to strengthen their finances. Technology can also review a business’s payment terms, as well as the behaviors of its vendors and clients, and make suggestions for areas of improvements. This type of insight dramatically improves upon what a business can gain through manual AP processes. Businesses need to be in control of their accounts payable to manage cash flow and maintain positive relationships with vendors and clients. Automation can also reduce errors and speed up processing, keeping operations running smoothly. The key is to first identify your unique business needs and then begin searching for a solution that not only matches those needs but will scale as your business grows.